This October, The Book of Dust–the first book in a brand new “equal” (not prequel, not sequel) spinoff trilogy, La Belle Sauvage, set in the His Dark Materials world–will reintroduce us to Lyra, Will, and the world of daemons, magic, and science. With the new book’s release nearly upon us, we decided that it was high time to reread the His Dark Materials books. HOW DID WE FARE? For this review, we’re approaching things a little differently and answering prompts to thematic questions about the book. If you’re so inclined, we welcome you to also answer the questions and join the conversation! 1.Let’s talk about personal reflection, and how The Golden Compass holds up to the test of time. First impressions: How does the book stack up to the memory and expectation? Ana: I am so glad we are re-reading His Dark Materials. 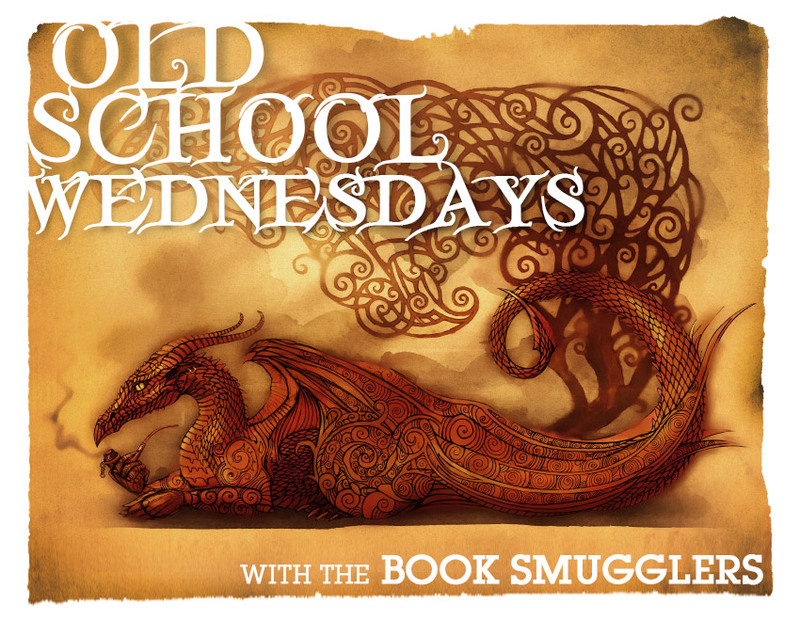 I first read it in 2004: I had just moved to the UK and I was looking for Fantasy novels similar to The Lord of the Rings (because at that moment in time, it was the one Fantasy reference I had) and I ended up borrowing it from the library. This was in many ways, my gateway into reading contemporary Fantasy, a first taste of YA AND the first novels I read in English. I remember reading it and thinking: wow this is better than The Lord of the Rings. As such, as I was a bit terrified about this re-read. This first book re-read was a mixed bag for me: I still really loved it but found it to be more slow moving that I was expecting? Memory told me The Golden Compass was non-stop action but really, there are very slow moving scenes/info-dump followed by action-packed ones – so in the end, I thought this first book to be rather uneven. Thea: I actually was introduced to this series through my four-years-younger sister, back around the time I was starting to get into Harry Potter. 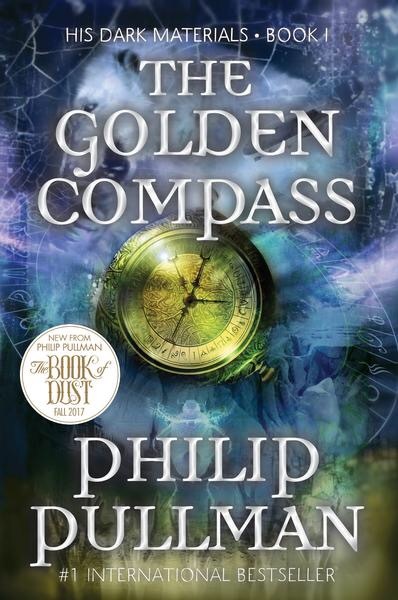 I’d read The Golden Compass back then (early 2000) and remember enjoying it a bunch… But I didn’t continue the series. 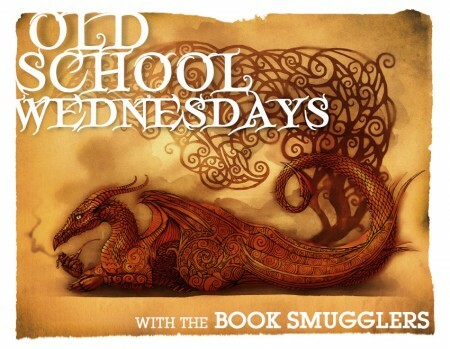 It wasn’t until eight years later, just before starting The Book Smugglers, that I rediscovered The Golden Compass and blazed through the series in a frenzy of awe and passion. I loved these books. So, rereading was a big deal–I was terrified that this first book would not hold up (and I had already been burned by that lackluster movie adaptation). The good news is that The Golden Compass totally holds up. Yeah, it’s a lot of info dumping and yeah, there are things that are handled in clunky fashion. But on the whole? Lyra is still the heroine of my heart. 2. Daemons are badass. What are daemons in your opinion? And what would your daemon be? Ana: Well, in the book the impression one has is that daemons are a person’s own soul outside their bodies which is really fascinating. The world in which Lyra lives is only one from many and I love the rules build around daemons and the correct way of approaching them (it’s not polite to touch another person’s daemon for example) and how that’s integrated into the worldbuilding and in the relationship between characters. It is also fundamental to the very foundation of the series: it is the understanding of daemons and how they affect children and adults in different ways that move the Church as well as the main antagonists of the novel. What would my daemon be? Probably some sort of a cat? But one of the fun things about daemons is that sometimes a person has a vision of themselves that don’t correspond to what their daemons are, so maybe a freaking dog? Thea: I am glad Ana touched on the taboo of touching another’s daemon, and the intimacy of that relationship. Having just recently reread the Harry Potter books, I can’t help but compare these to horcruxes–albeit ones that didn’t require the destruction of a soul, though in spirit they are parts of the soul outside the body. But daemons are cooler, because they are the natural order of things in Lyra’s world (not products of murder) and how cool would it be to have a part of you, that intimately knows everything about you, who you can talk to and confide in, outside of your body? Like Ana, I would like to think my daemon would be some kind of enormous hunting cat, like Lord Asriel’s snow lion (mine would probably be more mountain lion or jaguar). But I would also not be surprised if it was something amphibious, like a frog or a lizard. 3. Let’s look at gender roles specifically in this novel. Why are daemons the opposite gender of their humans, for example? How are Lyra and Melissa Coulter’s roles different than Lord Asriel or Lee Scoresby’s, for example? However, the gender aspect of the novel seems very fixed and binary and even though I love this world, it also begs the question with regards to other genders and how would their daemons work for trans people, non-binary folks, etc. I don’t think we ever see this at play in the world? In terms how that divide applies to characters, I see both men and women being equally great and nurturing or equally nasty and ambitious. So equal opportunity for character development. Thea: I agree that the novel is incredibly, frustratingly binary in its approach to gender and gender roles–I wish there had been some acknowledgement of or development of trans characters, for example, or genderqueer humans and their daemons. As it stands, when I first read the book, I loved the idea that one’s daemon would be “opposite”–but now many years later, I find it limiting, frustrating, and frankly, hurtful in it’s approach to gender. As for traditional gender roles, however, I do love that Philip Pullman is an equal opportunist, as Ana points out. I think there are similar gender role expectations in Lyra’s world–but damn, don’t Miss Coulter and Lyra break those restrictive buckets. 4. The Golden Compass is full of binary relationships and themes. Whether it be about a woman and her lost overseas father, or the very difference between Lyra’s universe and that of her world’s interdependence on other worlds–there is a lot to unpack here. What’s your understanding of the way that Lyra’s world works? Ana: I am not sure that the first book delves so much into all the possibilities as yet – giving us only tantalizing morsels of information and most of it is enshrouded in mystery as the characters are purposefully keeping things from Lyra. That is actually one of the most interesting but frustrating aspects of the novel: the nature of what is happening to Lyra, and how it is all moved by an unspoken prophecy that predicts a child will change the world forever but only “if she doesn’t know she is doing it”. Hence, another binary or dichotomy we can discuss is the idea of free will vs destiny: is Lyra really that important and why? The book doesn’t break away from this just yet, the plot moving along to coordinate with this very idea. The bloody, tragic ending just one of the ways that the worldbuilding fucks Lyra up. Thea: Philip Pullman likes his binary relationships. 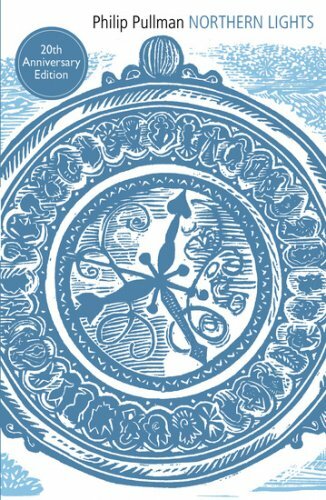 I noticed this a lot in this first book–but I agree that Lyra is like the centerpiece of a wheel with many outward radiating spokes that represent these binary relationships. There’s her lost father, and her feelings after her world is upended. There’s the intensity of her relationship with Pantalaimon (and the things Pan knows that Lyra does not or only subconsciously notices). There’s the fascinating layered relationship with Miss Coulter, and on and on. The prophecy adds a depth to all of this and enhances these 1:1 relationships–and yes, it’s all SUPER messed up when we get to that horrible silver guillotine and everything else the horrid church and Coulter have been insidiously executing. 5. What’s your favorite thing about the novel? Ana: JUST THE ONE? I think maybe the witches? I love Serafina even though we only see a bit of her. And also maybe the bears and how Lyra got around tricking them/saving them? I admit this is now two favourites AND ALSO THE ENDING. Ok, three. Thea: I love the subtle flashes of OTHER WORLDS and the importance of these other universes that we only start to see in this book thanks to the Dust, the alethiometer, and Lord Asriel’s ambition. Well, that and the swing between joy (Lyra riding triumphantly with the mighty Iofur Raknison towards her goal) and horror (what Lyra discovers is actually happening and her father’s obsession). Thea: 8 – Excellent and I know it’s only getting better from here, baby. Now over to you! Please feel free to engage with the questions (and our answers), come up with your own talking points, and/or please leave links to your reviews! My god, I love the daemons. I wish Philip Pullman would release copyright on daemons so that I and all the other fan authors could write about them in regular fiction. It’s such an interesting character building exercise to determine what a person’s daemon would be, and why, and how the character and the daemon interact. That’s one reason I cannot wait for La Belle Sauvage – I can’t wait for Pullman to tell us more! I am a little bit reserving my excitement for La Belle Sauvage, tbqh. Garth NIx returned to the world of the Old Kingdom after a long absence and something of the spark had gone out. I just feel a little trepidation, that’s all. P.S. My daemon would probably be a painted bunting. I’m glad to hear that you both weren’t disappointed on re-reading. I loved the trilogy so much originally that I got sad towards the end of the third one as I realised that I would soon never read them for the first time again. It sounds like I may enjoy reading them for the second time!